Alternatively, how about a Mazda MX5 from only £150 + VAT a month on an 18 month business users deal? Or a Toyota Land Cruiser D4D LC2 5 Dr from only £259 + VAT a month 18 month business users deal. Or a Porsche Boxster 2.7 only £387 + VAT a month 18 month business users deal. www.new-car-leasing.com is a logical offshoot of www.new-car-discount.com which offers some of the best UK supplied new car deals on the net. The biggest car problem that businesses, business drivers and private individuals face these days is working out what sort of deal leaves them best off. www.new-car-leasing.com aims to satisfy everyone, from the company accountant to the employee who wants to drive the best car he can have for the minimum BIK. 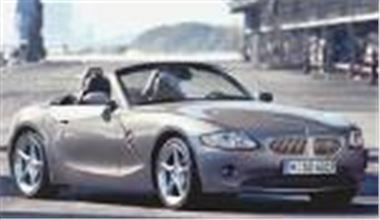 www.new-car-leasing.com doesn’t just offer the best deals. It’s also very flexible, catering for 12 and 18 month leases as well as the more usual 24, 36 and 48 month terms. It offers bespoke packages to minimise the financial damage of high mileage. It offers hire purchase, finance lease or lease purchase and is happy to explain the relative advantage of all three. It helps with cash or car calculations and explains both the upside and downside of opting out of a company car. As well as that, gap insurance, early termination penalties, and vehicle replacement protection are all explained, together with sections on jargon and emissions and tax. Whether we’re talking one car or a large mixed fleet, private individuals or large plcs www.new-car-leasing.com caters for everyone. www.new-car-leasing.com limited is a private limited company combining the financial strength of DSG Financial Services (15 years experience in this sector) with the funding expertise of large finance houses such as Lombard, Paragon and ALD. www.new-car-leasing.com directors have over 50 years combines experience in the supply of new vehicles with major manufacturers, leaving its clients safe in the knowledge their needs will be looked after.